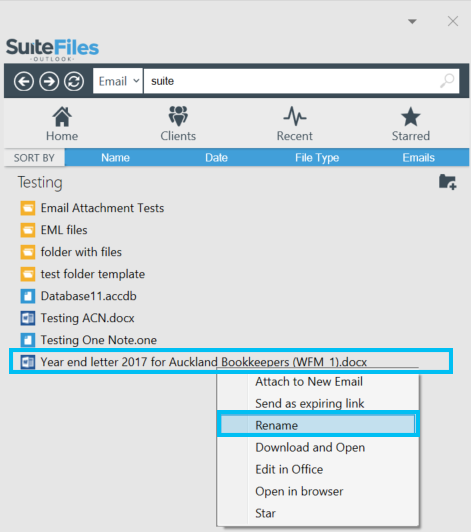 Right-click the file and select "Rename"
IMPORTANT - when changing the name you need to leave the file extension in the name. If there's a .docx or .msg or any other file format on the end of the name you must leave it in otherwise the file's new name won't be saved. Click the Approve button to save the emails new name.